Afro-pop singer Omawumi Megbele (third from right) joined Sightsavers staff and guests at the launch event in Lagos. A project that uses superhero characters to educate children about the spread of blinding eye disease trachoma is being launched in Nigeria. 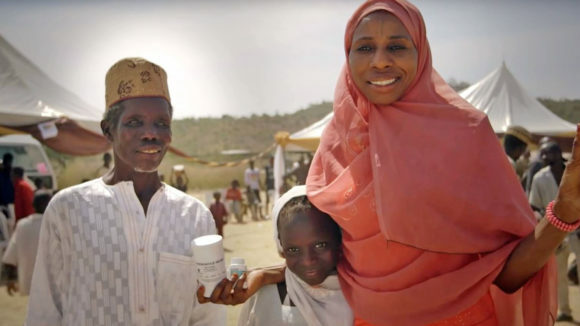 The Super School of 5 programme will be introduced as part of efforts to fight trachoma in Nigeria, which has the second largest number of people at risk of the disease worldwide. 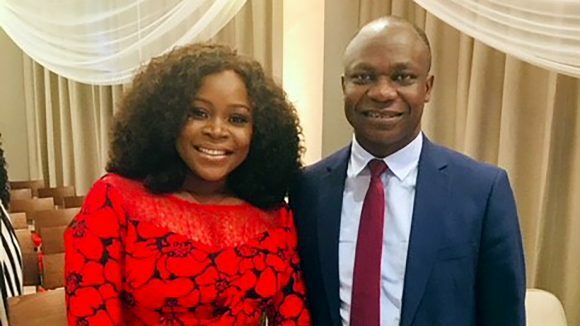 The announcement was made at an event in Lagos on 6 September, attended by Afro-pop singer-songwriter Omawumi Megbele, alongside Sightsavers Country Director Dr Sunday Isiyaku and senior representatives from the Lagos State Ministry of Education and the Federal Ministry of Health. Sightsavers has been working with Unilever and Lifebuoy since 2014 on the Super School of 5 programme, which uses five superhero characters to teach school children about the importance of hand and face washing to help prevent and eliminate trachoma. The project has found that using superhero characters helps children to engage with the lessons, as well as encouraging them to take their new-found knowledge back to their families, helping to change behaviour in the wider community. The flagship educational programme has already changed lives in Kenya, Ethiopia and Zambia, and is now being extended to more than 40,000 schoolchildren in 60 schools in Nigeria, where there are currently around 20 million people at risk of trachoma. The infectious condition starts as a bacterial disease that can be easily prevented and treated. But if it’s not caught in time, it can lead to scar tissue that can cause the eyelids to turn inward, leading to irreversible blindness. It is spread from person to person through hands, clothing and infected flies. 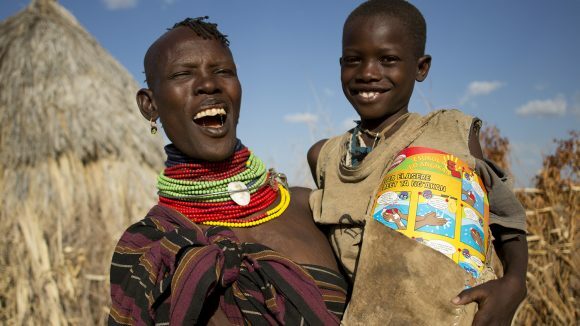 Trachoma thrives where there are water shortages and poor sanitation. This innovative project uses colourful superhero characters to teach school children about the importance of washing their hands and faces. 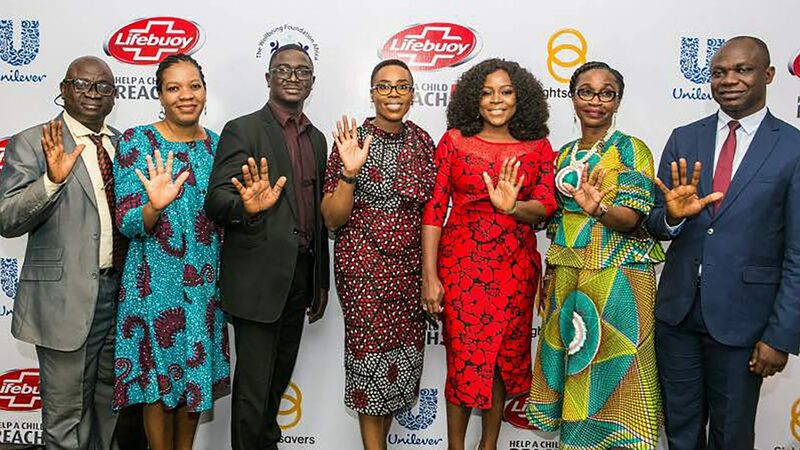 Sightsavers’ Sunday Isiyaku was on the panel at the event, which launched Unilever’s Lifebuoy soap brand in Nigeria. He explained the life-saving benefits of the partnership, in which Unilever provides soap and other materials used for the programme. He said: “Washing your face and hands with soap can make all the difference in keeping communities free of diseases like trachoma. While Sightsavers and our partners have made great strides in tackling trachoma with antibiotics and surgery, environmental factors and personal hygiene are crucial steps in preventing its spread and eliminating it for good. The Super School of 5 programme has been supported by governments and funders including The Queen Elizabeth Diamond Jubilee Trust and UK aid. Singer Omawumi Megbele with Sightsavers Nigeria Country Director Dr Sunday Isiyaku.